Our newest model, the Falcon 5000, is available for pre-order! Let’s face it…human life depends on the health of our soils. 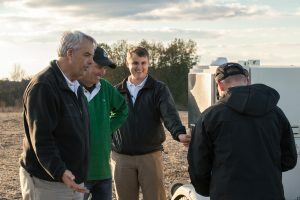 Falcon Soil Technologies enables agronomists, farmers, and other soil professionals to take better, more consistent, more accurate soil samples than ever before…with less time and back-breaking work! Visit www.falconsoil.com or call 800-284-9611 to learn how the Falcon can transition your operation to the next level of productivity.